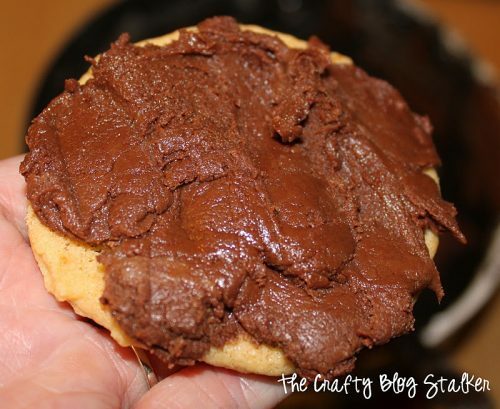 An easy DIY recipe tutorial idea for Fudge and Orange Cookies. 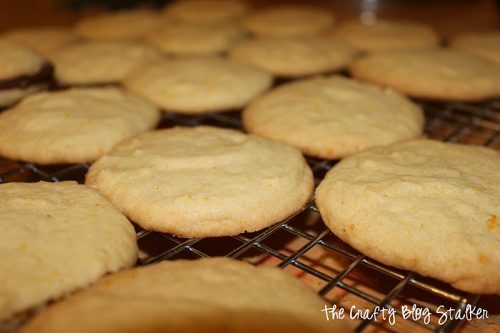 A cookie recipe that is so good you’ll want to share with everyone! Have you ever tried the flavor combination of orange and chocolate? It is amazing and one of my favorites! Lately, I have been craving it but I don’t have any tried and true recipes so I went on a search. I found this cookie recipe at allrecipes.com and decided to give it a try. In a mixing bowl, cream butter and sugar. Beat in the egg, egg yolks, orange peel and extract. 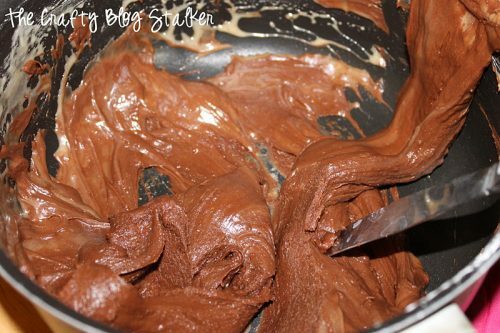 Combine the flour, ginger and baking soda; gradually add to creamed mixture. Drop by rounded tablespoonfuls 2 in. apart onto ungreased baking sheets. Bake at 300 degrees F for 21-23 minutes or until golden brown. Remove to wire racks to cool. In a saucepan, combine the marshmallow creme, sugar, milk, butter, and salt. Bring to a rolling boil over medium heat; boil for 5 minutes, stirring constantly. Remove from the heat. Add chocolate chips and vanilla; stir until chips are melted. Spread over tops of cookies. Here is the cookie batter before it is baked. While they are cooling. You can see the mounds of cookie batter flatten nicely while baking. I made the cookies like a sandwich cookie with the fudge in the middle. I hope you enjoy these Fudge and Orange cookies! Do you have a favorite Orange and Chocolate recipe? Share and leave a comment below! SAVE HOW TO MAKE FUDGE AND ORANGE COOKIES TO YOUR FAVORITE RECIPE PINTEREST BOARD! Super yummy!! Thanks for linking to Things I’ve Done Thursday! oh yum! They remind me of those Milano cookies with the orange! Delicious! Nice flavour pairing! Thanks for sharing the recipe. Yum thanks for hunting this recipe out. I love the combination of chocolate and orange. Wowwww these cookies look and sounds scrumptious ! Sounds Divine! I am such a sucker for anything chocolatey with a hint of orange. Thanks for sharing on Tutorial Thursday, much appreciated. I’ve never had an orange cookie before, but I love anything with chocolate! 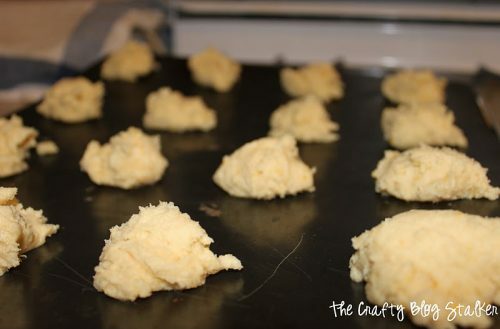 I hope you’ll link this post up to our Holiday Cookie Recipe Swap at http://thedomesticatedprincess.blogspot.com/2012/11/cookie-recipe-exchange-week-3.html. That looks wonderful! I pinned it!